Nearly everyone has "problem areas" of stubborn fat that are impossible to get rid of, even for the healthiest men and women. Liposuction allows the Northwest Plastic Surgery Associates, PLLC, team in Missoula, MT, to surgically remove fat and help you enjoy a more toned, contoured physique. When stubborn pockets of fat refuse to respond to rigorous diet and exercise efforts, surgical body contouring might be recommended. Liposuction can effectively target pockets of fat on an individual's abdomen, thighs, buttocks, upper arms, hips, or other areas. When performed by an experienced and talented plastic surgeon, liposuction is a safe and extremely effective procedure. Dr. Stephen Hardy, serving Missoula and surrounding locations, offers liposuction in a state-of-the-art facility with a team of trained professionals. By getting rid of stubborn fat deposits, liposuction can help you feel confident in more clothing. Although it is a surgical procedure, it offers a relatively short recovery time. In most cases, you can be fully healed and ready to show off your new contours before the next swimsuit season. Just how many people undergo liposuction each year? Liposuction is a body contouring procedure to remove excess fat from target body areas that exercise and diet alone are not sufficient. At his Missoula practice, Dr. Stephen Hardy employs safe liposuction techniques such as tumescent liposuction and laser assisted liposuction to give patients the best experience possible. Learn more about liposuction for men and women, and contact Dr. Hardy to speak with him in-person about your options. Body contouring, also known as liposuction, lipoplasty, or suction lipectomy, is the surgical removal of localized or regional excess fatty tissue to improve body contours and proportion. Liposuction is not a proper substitute for healthy diet and exercise, nor is it a treatment for obesity or an effective treatment for cellulite. However, in healthy individuals within 30 percent of their ideal weight with firm, elastic skin and good muscle tone, it can permanently reshape the body contours where excess fat deposits have created areas that are disproportionately large in an otherwise balanced figure. Dr. Hardy offers two specialized types of liposuction surgery: tumescent and laser-assisted. These procedures utilize advanced technology to perform liposuction with enhanced precision. This results in faster recovery time, more targeted results, and less discomfort to patients. Tumescent liposuction is among the safest and most popular liposuction techniques available today and is quickly growing in popularity. During the procedure, Dr. Hardy will inject a liquid saline solution containing anesthetic and epinephrine into the targeted area of fat on the body. The liquid anesthetizes that part of the body so the patient is comfortable during the procedure. The liquid shrinks the blood vessels and causes the unwanted fat pockets to swell and firm up. They are then easier for Dr. Hardy to extract. If you would like to speak with Dr. Stephen Hardy about traditional or tumescent liposuction, contact our Missoula practice today by completing the email form on this page. Dr. Hardy will work closely with you to find the body contouring technique best suited to your body. Special considerations may be necessary for clients with diabetes, high blood pressure, heart disease, or previous surgery to the treatment area. Dr. Hardy's top priority is patient comfort; thus, he provides safe liposuction techniques that are conducive to the best overall experience possible. 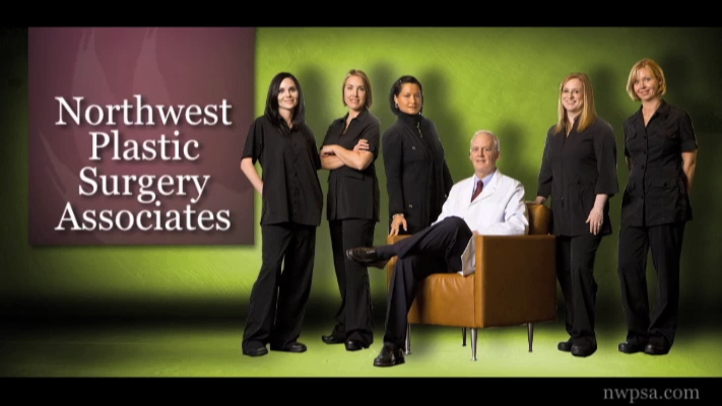 We offer the most advanced liposuction techniques in Missoula to meet our patients' needs. The latest in laser technology allows for liposuction to be completed faster and with better results than what was possible with conventional liposuction techniques. For these reasons, we are proud to offer laser assisted liposuction at our practice. Laser assisted liposuction works by concentrating low-energy rays onto the treatment area. The laser beams penetrate the skin and weaken the cell membranes that hold the fat. The laser allows for the controlled application of very low doses of heat so the fat can be liquefied and easily removed from the body. To help ensure positive results, the Osyris Lipotherme™ laser uses a continuous wave for a controlled effect. Post operative discomfort is mitigated during this process, as the procedure is designed to ease bruising, swelling, and pain, all of which are often associated with conventional liposuction. An additional benefit of laser assisted liposuction and the Osyris Lipotherme™ system is the ability to tighten your skin to minimize the appearance of bags or bulges post-surgery. The laser can be utilized for anti-inflammatory purposes as well. With a fast recovery period that involves almost no down time and requires no pain medication, laser assisted liposuction can provide the results you are seeking. If you want to avoid the hassles of traditional fat removal, laser assisted liposuction is for you. If you would like more information on this great new technology, contact the laser assisted liposuction team at Northwest Plastic Surgery Associates in Missoula, Montana.